Meta: best high-quality dog food for small dogs, right food for my small dog, food for small dogs, top foods for small dogs, best small dog foods, best food for my small dog. Every breed has its own needs. Some breeds thrive on higher protein and lower fats. Others need lots of energy and need extra carbohydrates. Whether you require food for adult dogs or looking for puppy food, many of the large breed and small breed dogs have their own needs as well to ensure the best dog’s health. The research to find the best foods for small dogs can be frustrating. There are so many varieties of each brand. 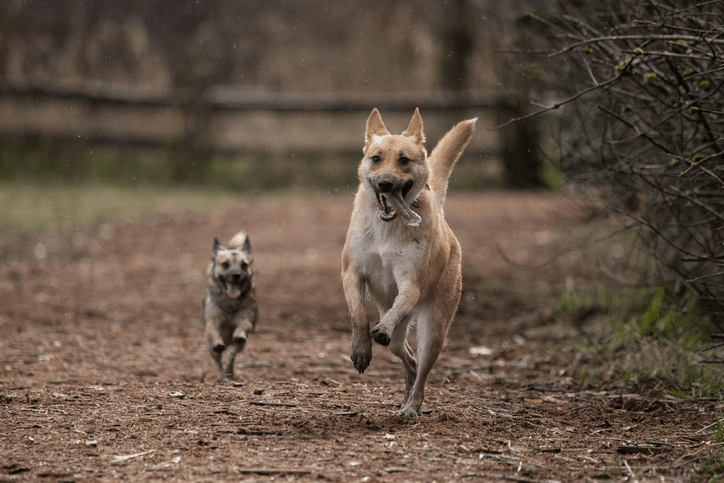 Wet food (canned food), grain-free dog food, organic dog food, real chicken, dry kibble, organic free-range, food for a limited ingredient diet… with so many, which ones really are the best for small breed dogs? Here is a list of the ten best dog foods for small dogs for each meal. Blue is one of the top dog food brands on the market today. Their formula for small dogs has smaller bits for easier eating and has all the necessary amino acids, protein, and carbohydrates for a healthy, small dog. The antioxidants in the included blueberries and cranberries support urinary tract health. And your pal will have all day energy thanks to the great sweet potatoes in the recipe. Beneful Incredibites is formulated especially for small dogs. The nutrient-rich recipe supports the faster metabolism of small dogs. Purina uses farm-raised beef as the first ingredient. Real peas and carrots add flavor, and the kibble is in mini-bite size pieces for little dogs’ mouths. The formula offers 27 grams of protein and 23 essential vitamins and minerals in every cup. Every bag is made with high-quality ingredients meant to keep your little dog healthy. Taste of the Wild is premier dog food on today’s market. The Appalachian Valley recipe provides proteins including venison, lamb, egg, duck, and ocean fish, and is grain-free. The formula has small-size kibble made especially for small breed dogs. The tasty food has both probiotics and prebiotic fiber for healthy digestion. The formula is high in proteins and fat, to give your small dog the energy needed for their increased activity. Royal Canin is one of the top brands of dog food currently on the market. The recipe for small dogs is designed to meet their needs for more protein and fat—necessities for their high-energy metabolism. Keeping your small dog at a healthy weight can be difficult, but Royal Canin adds L-Carnitine to ensure fat metabolism and adds EPA and DHA (omega fatty acids) for a healthy coat and healthy skin. Merrick Lil’ Plates is specifically designed for your small or toy breed dog’s needs. The made in the USA, grain-free recipe supplies the nutritional needs for small breeds with small kibble. This high-protein formula also includes sweet potatoes, apples, peas, and blueberries to provide essential nutrients. The recipe includes flaxseed for healthy skin and coat, and probiotics and prebiotic fiber for ideal digestion. The recipe has no wheat, corn, soy, or gluten. Known for its many special formulas, Hill’s Science Diet doesn’t disappoint with its Small and Toy Breed formula. The recipe is rich in natural DHA drawn from high-quality fish oil for a healthy brain and eyes. The formula also contains antioxidants, vitamin E, and vitamin C that help support your dog’s immune system. Hill’s is made in the USA with no artificial flavors, colors, or preservatives. Purina’s Bella Natural Bites are a great option for your small breed dog. This recipe is a mix of shredded bits and smaller kibble suited for your small friend. Since their tummies hold less than bigger dogs, they need a nutrient-rich recipe to keep pace with their metabolism. The formula also includes antioxidants to support a healthy immune system! Wellness CORE is one of the top names in dog food. Each recipe is formulated with high-quality protein that feeds the high-energy needs of small breeds. The recipe’s omega fatty acids from salmon help produce healthy skin & a shiny coat. Wellness CORE also includes high-quality glucosamine and chondroitin to aid in bone & joint health. The probiotics in the formula help your little guy with digestion too! Hill’s Science Diet makes our list twice! Hill’s adult fitness recipe is made with a proprietary blend of omega-6 fatty acids to promote a noticeably shinier coat. The small kibble is perfect for your dog’s smaller mouth. The recipe contains fresh chicken to promote strong muscles. Hill’s clinically proven mix of antioxidants creates a healthy immune system. This recipe’s mix of chicken, turkey, and salmon give your little friend all the lean protein he needs for his high energy day. The small-breed recipe has a balanced calorie count to support optimal body weight. This recipe is specially formulated for small dogs, using smaller kibble. A boost of vitamins A and C help maintain a healthy immune system. Since small dogs tend to be high-energy balls of fur, they require a different balance of nutrients to ensure a healthy life. They require more proteins to help grow their lean muscles and a proper calorie count to avoid obesity. The smaller sized kibble in all of these great foods is perfect for little teeth and mouths. A small breed with a balanced diet can be a strong, vital companion for many years. It is our duty as their moms and dads to ensure they have the right food to give them a full, healthy, and happy life. We all want our fur babies to have the best of everything. We search for the best in everything—toys, treats, beds, and food. But the needs of small breeds differ significantly from those of large breeds. This is something dog owners must consider when choosing a dog’s diet. A properly fed small breed will outlive most larger breeds and still maintain that puppy-like energy throughout his or her days. With proper nutrition, a balance of protein and fats, and healthy fruits and vegetables, your friend will be with you for many years to come.